The news of cancer can bring life to standstill. It can shatter lives;depress the patient as well as their family and friends to no end. As lethal as it sounds, cancer is curable if detected in its preliminary stages. Cancer starts when cells in the body multiply at an exponential rate, and the growth goes out of hand. These cells can grow in any part of the body, damage the organs and infect the blood. 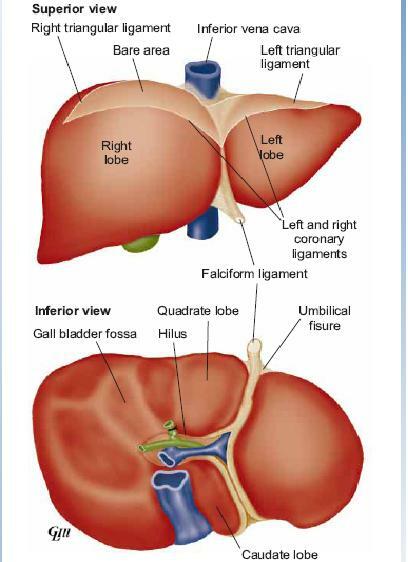 Liver cancer also called as hepatic cancer, is a type of cancer that starts in the liver. Cancer that has spread from the other parts of the body to the liver is known as liver metastasis. However, anything that increases the chance of liver cancer is a risk factor. When liver cancer is diagnosed, several curative treatments like surgery, specialized chemotherapy & radiation can be given. Liver transplant is also a curative option. If you feel you are at a risk of a liver disease, it is necessary to consult a doctor. Max Hospital is among the best liver hospitals in Delhi and has consistently proved its worth.One of the best liver transplant hospitals in India, it is equipped with modern technology to treat cancer patients. Read on to find out associated risk factors and causes of liver cancer. Cancer has no particular cause and can even occur in healthy people. Though it might not be clear what causes liver cancer, chronic infection with certain hepatitis viruses can trigger the growth of cells which can cause cancer. Cirrhosis occurs when scar tissues replace the damaged liver cells. People with liver cirrhosis have an increased risk of developing liver cancer (hepatocellular carcinoma). Infections such as hepatitis B or C, fatty liver leading to liver damage, haemochromatosis (iron overload) and alpha 1 antitrypsin deficiency can cause cirrhosis. Liver cirrhosis is a progressive and irreversible condition,and in later stages, only a liver transplant can save the patient. Excessive drinking has adverse effects on the body. However, it causes liver cirrhosis which is linked with an increased risk of liver cancer. People afflicted with hepatitis B or C virus are at an increased risk of developing liver cancer. Such people should avoid drinking alcohol as it can increase the risk of cirrhosis and liver cancer exponentially. Individuals who have a low immunity, HIV or AIDS have a higher risk of developing liver cancer. The risk is as much as 5 times more than people who do not have HIV or AIDS. People with Hepatitis B or C also have low immunity because their bodies are constantly trying to clear the infection which may increase chances of liver cancer. Being overweight is a high-risk factor and can increase the likelihood of developing liver cancer. Obesity can also cause fatty liver disease which can lead to cirrhosis and eventually increase the chances of liver cancer. Cancer-causing substances, Aflatoxins are made by a fungus that contaminates wheat, soybeans, peanuts, rice and corn. Long-term exposure to Aflatoxins escalates the risk of liver cancer, especially in people with HBV and HCV. Like any cancer, detecting liver cancer in its preliminary stages can make a difference between life and death. It is necessary to take an expert opinion if you witness any liver disease symptoms. Cancer can remain silent for an extended period, and if you ignore the symptoms, it might be too late. In situations where liver cancer cannot be treated, a liver transplant is required. Make a wise choice, and consult a doctor if you have any symptoms. It is imperative to avoid the risk factors in totality and be aware of what can be damaging to your body.